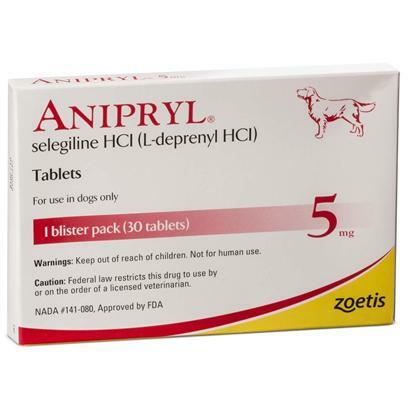 Anipryl is a prescription medication that is used to treat Canine Cognitive Dysfunction Syndrome (CDS), also known as, Doggie Alzheimer's. Anipryl is also used to treat conditions caused by pituitary tumors. Rated 4.5 out of 5 by 19 reviewers. Used Also For Canine/Dog "Alzheimer's Disease" Lifesaver! Every dog is different. Just like us humans. Kim is right be consistent! !